Windsurfing, kitesurfing and everything of water action..
Strong winds and good sailors in front of Nissakia @ Artemida Greece. Surf Club Keros Anual Kitesurfing Event in Limnos Island. Wave sailing at Nissakia, Artemida, Greece. Photo shoot from the island by Pantelis Ladas. Ask for more images. Some kite shots at Nissakia famous spot in Attica, Greece. Jibes and more jibes by everybody!! 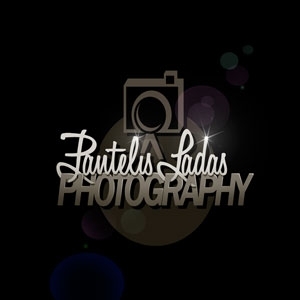 Shooting in Artemida by Panteliz Photography. A little bit cloudy, normal waves for every level. Some action..
Surfing and kitesurfing at the beach of Vouliagmeni, Attica, Greece. First south winds of the season. Bright day, small waves, hot water. Strong rain, full cloudy, cold, no good waves, no good light.. Cool day, good waves, beautiful colors, a lot of surfers!! South winds, warm water, wrong angle but good session..
Not enough south wind, no good waves, a lot of pumping!! Close sky, hard rain, darkness, strong current, a lot of people..
Light wind spots, good waves, happy people. Spots from all over Thessaloniki. Strong wind, brown water, a lot of windsurfing & kitesurfing action. Freestyle maneuvers of windsurfing and kitesurfing at Drepano beach, Achaia, Greece. Full bright Day at Drepano (Faros), Achaia, Greece. Windsurf and Kitesurf action. Kitesurfing at flat spot of Keros Beach, Limnos Island. Kitesurfing at keros Beach, Limnos Island. Water action at one of the Cyclades windy islands, Paros. Two people kiting at ParosKite, Punta, Paros Island. Ice Hockey matches of the Greek Championship. Avantes vs Iraklis at the Athens Heart Rink. Iraklis vs Avantes at the Athens Heart Rink. Iraklis vs Albatros at the Athens Heart Rink. Aris - Albatros at the Athens Heart Rink. Football, soccer, beach soccer etc. Rock gardens, drops, jumps, berms and everything.. Downhill cycling at Parnitha mount, teached by Momentum Academy. Trampoline, rhythmic, synchronized and everything..
Γυμναστικές επιδείξεις στο κλειστό γυμναστήριο Κανήθου, Χαλκίδα. Γυμναστικές επιδείξεις στο δημοτικό γυμναστήριο της Χαλκίδας 17 Δεκεμβρίου 2010. Figure ice skating events and championships. Novice Girls on second day of HISF Championship at Athens Heart rink, Greece. Senior Ladies on second day of HISF Championship at Athens Heart rink, Greece. First day of HISF Championship at Athens Heart rink, Greece. Service, blocks and more on the hot sand. VSC mixed carnival open beach volley with Efi Sfyri. Dirt, Street, Flat, Ramps, blood, guts.. When the wind ends the ramp ripping starts..
Street, Flat, Skate Parks, events..
Paragliding and other sports in the air..
Monster Energy Athens Supercross 2011 at "Peace & Friendship" Stadium, Attica, Greece. Photo & Art exhibition by Pantelis Ladas. Watch and purchase the art works from here.